Совместимость: Требования iOS 8.1 или выше. Quickly scan any room for hidden cameras and make sure no one is spying on you! ***************************************** Thousands of downloads and counting! Up to 90% less than a hardware spy camera detector! ***************************************** Spy cameras are so common they can now be hidden in teddy bears, clocks, watches, key chain remotes and even in your bathrobe and towel hooks! 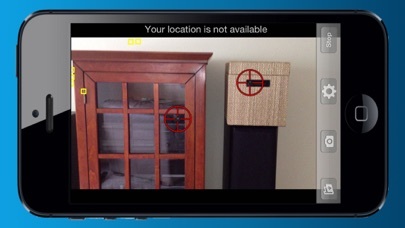 Use our camera finder app to find hidden spy cameras today! Key Features: •Uses the iPhone camera and flash to find potential hidden spy cameras •Targets potential spy cameras live on your screen •Costs only a fraction of a hardware spy camera finder •Anybody can use, easy to learn •Save images with GPS location of suspected spy cameras •Don't wait for mail order detectors that can cost hundreds of dollars •Download the Hidden Camera Detector app now and use it today! IMPORTANT NOTICE: Your iPhone or iPod Touch version must have a camera and flash for the app to function. Only works on iPod Touch 3G with an external flash case. 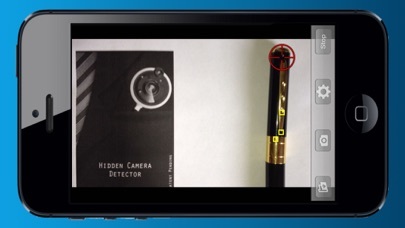 The Hidden Camera Detector app is designed to detect "potential targets" that could be a specialized spy camera, these include pinhole and other small lens cameras. It is NOT designed to detect ordinary security cameras, or cameras found on laptops, cell phones or other non-covert devices. HCDapp.com makes no guarantees of performance; you should inspect any potential target to see if it actually is a spy cam before taking action. 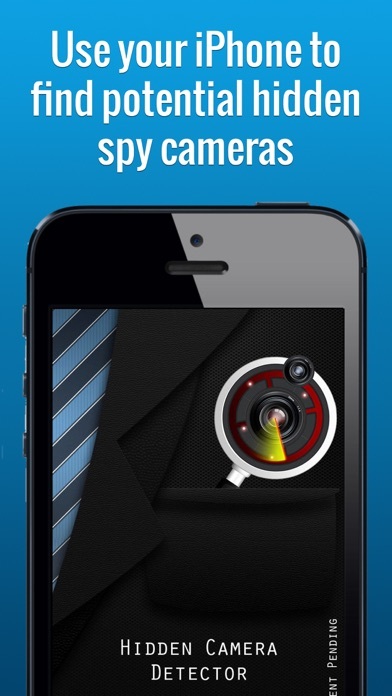 You may never run across a real spy camera, but if you do make sure you have the Hidden Camera Detector app to help you. Happy spy camera hunting! Copyright 2012-2017, HCDapp.com All Rights Reserved. Развод полный. Поднёс в плотную к веб камере и он не не увидел. A good application can be very useful. My iPhone 4 works great with it. 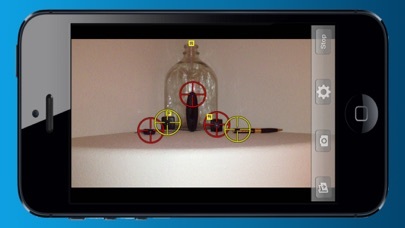 This stupid app wasn't able detect even my wecam, booth iPad camera and Nokia mobile. How I can return my money?